Yet another 20s inspired look emerged on the runway of Naeem Khan A/W 2013 collection. 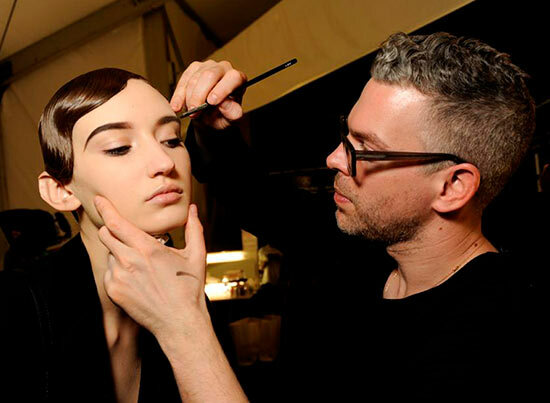 “The reference for the beauty look was Lady Mary from Downton Abbey. It’s a decadent 1920’s, lived in feel that’s all about the eyebrow. 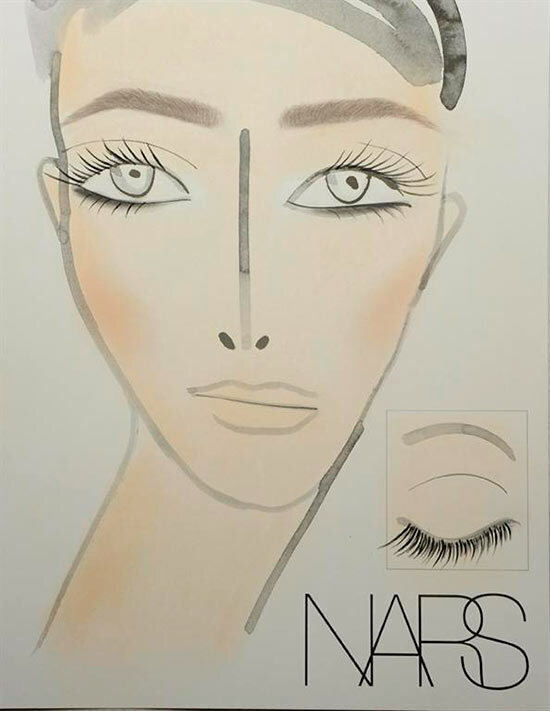 The skin we kept a natural finish to make the brows feel less costume-y”, said James Boehmer, NARS Director of Global Artistry. Nudes and blacks complemented the bead, appliqués and lace in the collection. Essie first base base coat was applied before one coat of Essie licorice and one coat of Essie bordeaux polishes coated nails. 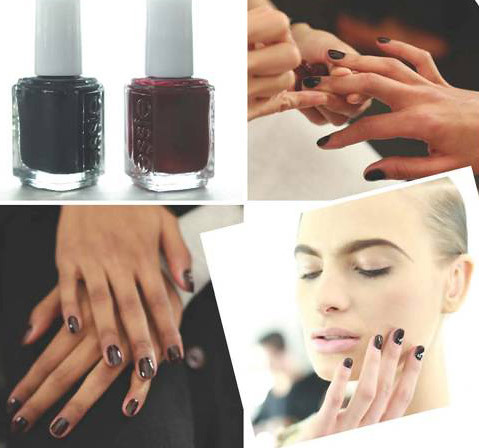 The look was finished with Essie good to go top coat for shine. Images: Courtesy of NARS and ImaxTree.